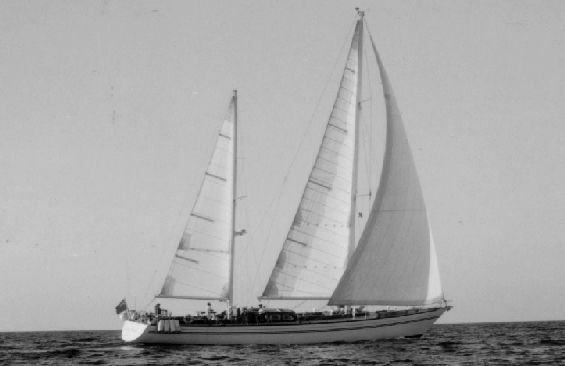 The ketch rigged classic sailing yacht LADY SAIL was built by Cantieri Sangermani and designed by Sparkman & Stephens in 1976. 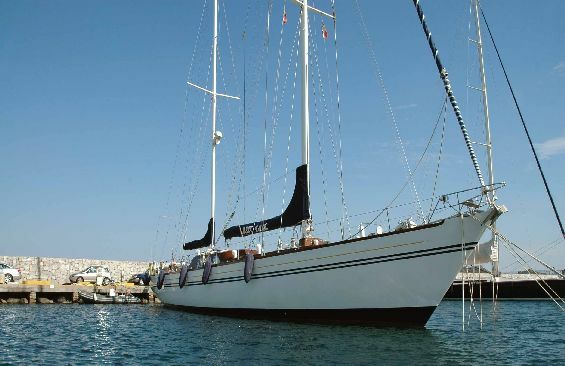 The 25,6m (83,11ft) sailing yacht LADY SAIL was refitted in 2010 and is available for charter in the East Mediterranean with accommodation for up to 8 guests. 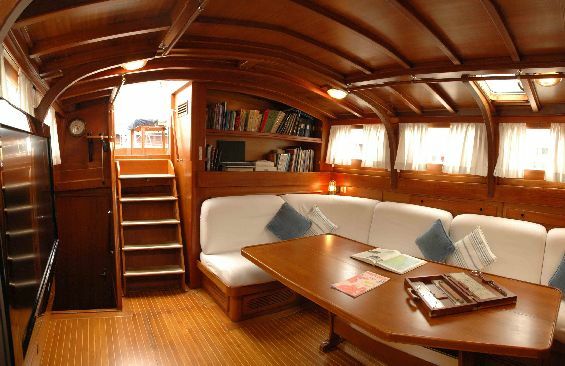 Charter yacht LADY SAIL has a traditional interior with beautiful woodwork throughout. The salon is located in a raised cabin house, allowing plenty of natural light to filter through the large windows. 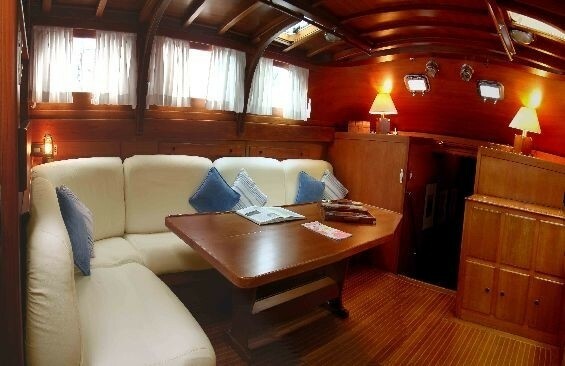 Featuring an L shaped plush sofa and table to port, the space is generous and welcoming. 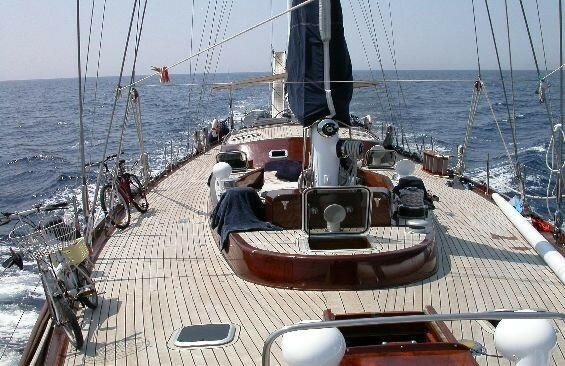 On the starboard side a large flat screen TV brings a touch of modern times. 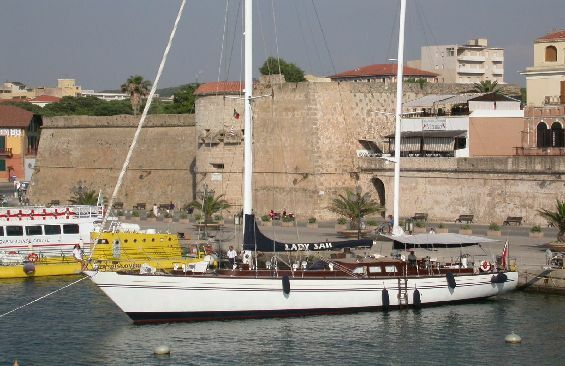 Sailing yacht LADY SAIL boasts ample deck areas for charter guests to enjoy. 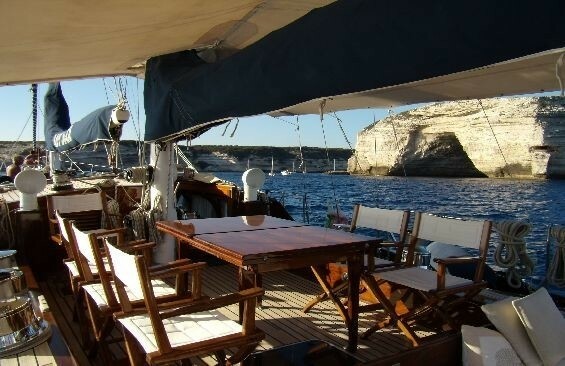 The aft deck has an alfresco dining option complete with removable wooden table and stylish directors chairs. 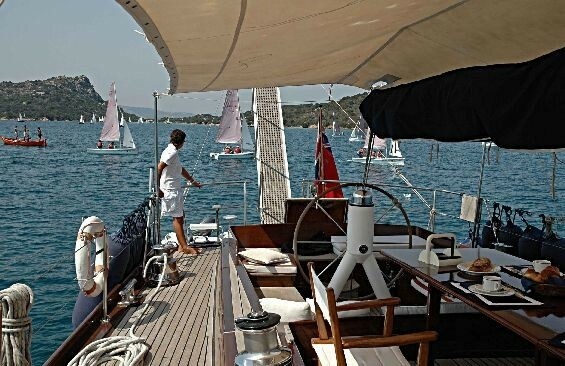 Further aft in the main cockpit the helm and binnacle is flanked by surrounding cushioned seating, ideal for children as all the lines are run on the main deck. 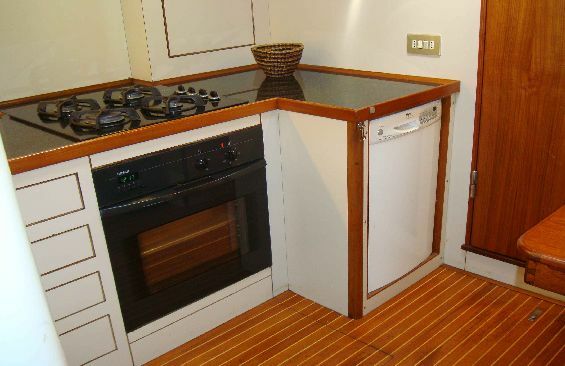 Forward the decks are almost flush and easy to walk around effortlessly. 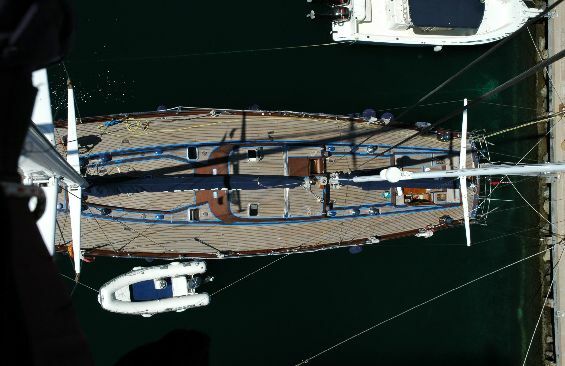 Charter yacht LADY SAIL has a wooden hull with a beam of 5.8m (19ft) and an impressive draft of 3.5m (11.6ft). 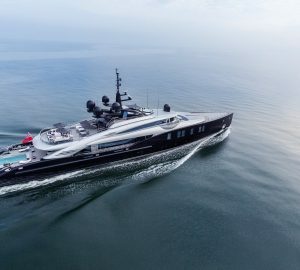 The yacht is fast under sail reaching speeds of 8 – 10 knots, when under power her 1 MTU 600HP engine is capable of speeds of up to 12 knots. 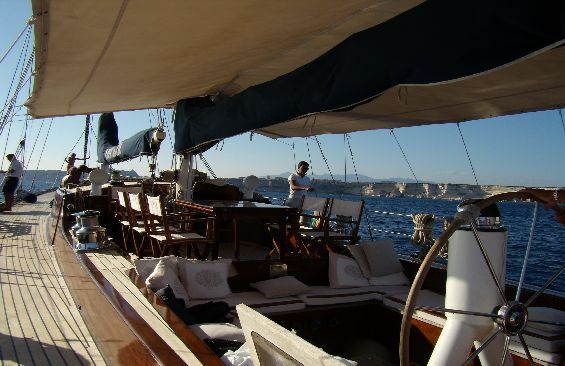 S/Y LADY SAIL can accommodate up to 8 guests in 3 deluxe cabins. 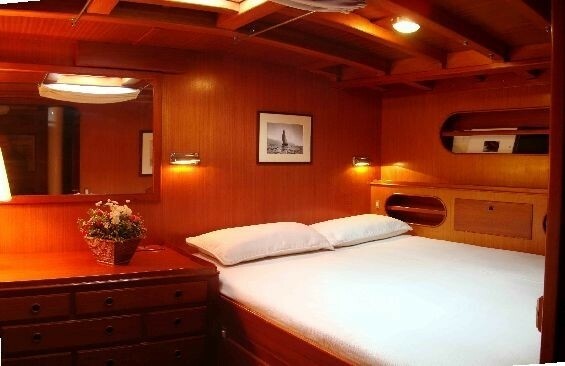 The master suite is full beam aft of the salon with a double bed, single day bed and en-suite facilities. 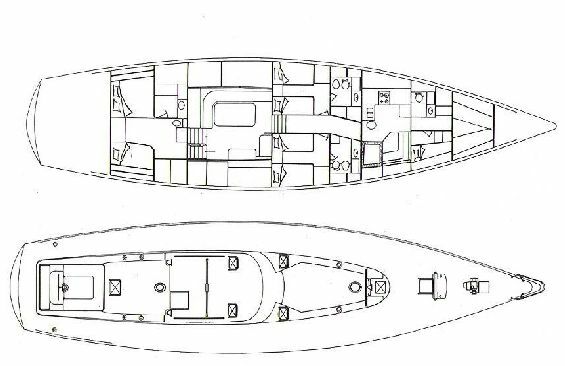 Forward of the salon on port and starboard are 2 twin cabins, one with Pullman berth, both cabins have their own en-suite facilities. 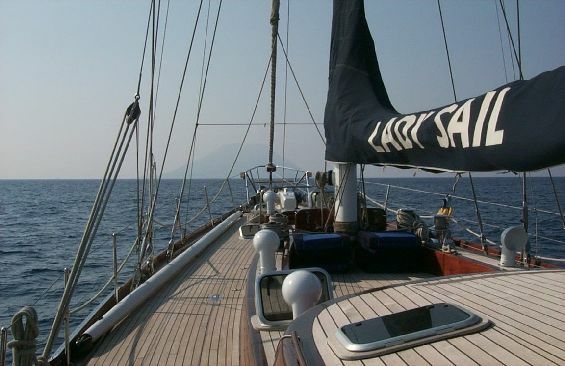 Luxury yacht LADY SAIL offers a 4.70m tender with 40hp outboard, 2 diving sets and snorkeling equipment.